New Location for Feb. 16th Broadcast of the "WGTD Radio Theater"
On Saturday, February 16th, at 11:15 a.m., the WGTD Radio Theatre will present their annual cartoons on the radio comedy broadcast before a studio audience at the Kenosha Southwest Neighborhood Library, located at 7979-38th Avenue, Kenosha, Wisconsin. This is the first time that the WGTD Radio Theater has performed at the Library. Two additional live WGTD Radio Theater shows will be broadcast, at 11:15 a.m., from the Kenosha Southwest Neighborhood Library on Saturday April 13th and Saturday June 22nd. According to co-executive producer and writer Mike Ullstrup, of Salem Lakes, "Our cartoon shows are some of our most popular. Our cast and audience loves them! It's always so fun to see our actors stretch themselves and take on the personas of everyone's favorite characters. The shows are also fun to write." In this year’s cartoon show, some of the famous cartoon characters include: Rocky and Bullwinkle, along with Boris and Natasha; Scooby Doo; Mr. Peabody and Sherman; Stars from “The Jetsons;’ and Dudley Do-Right, Nell Fenwick, Snidely Whiplash, and of course, the Horse. Stars from the 91.1 Players include: Mike Bavido, Rene Bushelle, Siegfried Christoph, Arthur Dexter, Viki DuMez, Todd Eaves, JaNelle Powers, Larry Rowe, Ann-Marie Schmid, Cameron Spencer, Peyton, Naomi Waisman-Zabler and Kathy Zuhlke. Viki DuMez will direct this show and additional show scriptwriting is provided by Dr. Ann-Marie Schmid. As always, extraordinary live sound effects are performed by Barbara Tylla.. 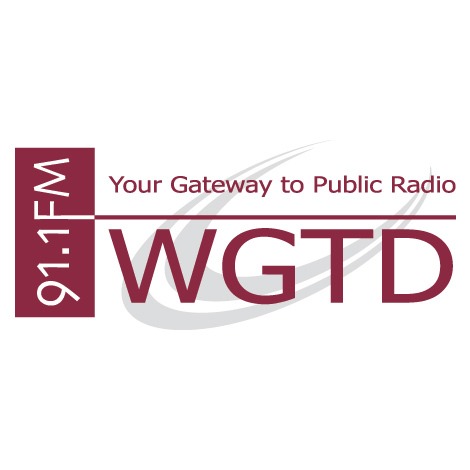 In addition to being aired over WGTD-FM, at 91.1 in Kenosha and Racine, 101.7 FM in Elkhorn, and 103.3 in Lake Geneva, the program will also be streamed live, on-line, at WGTD.org, and also on either an iPhone or Android “app” at WGTD FM. WGTD FM is a service of Gateway Technical College, serving Kenosha, Racine and Walworth Counties. The audience should arrive 30 minutes before the live broadcast which begins at 11: 15 a.m.